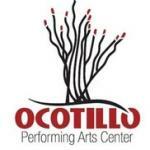 Artesians will be able to dance the night away Saturday to the sounds of the ‘50s when John Mueller’s Winter Dance Party comes to the Ocotillo Performing Arts Center. The official tribute to Buddy Holly, Ritchie Valens and The Big Bopper takes the stage at 7 p.m. Saturday, Sept. 1. Tickets are $40 and can be purchased online at www.artesiaartscouncil.com or by calling the OPAC box office at 746-4212. John Mueller’s Winter Dance Party is the official live, authentic recreation of Buddy Holly, Ritchie Valens and the Big Bopper’s final tour and the only show endorsed by the Holly, Valens and Richardson estates. Each live concert performance includes more than two hours of unbridled, high-voltage entertainment featuring all the hit songs of the ‘50s era: “That’ll Be The Day,” “Peggy Sue,” “Oh, Boy,” “Rave On,” “La Bamba,” “Chantilly Lace,” and many, many more. John Mueller, the critically acclaimed former star of the U.S. touring version of the London/Broadway hit musical “Buddy… the Buddy Holly Story,” performs as Buddy Holly, and Linwood Sasser fills the legendary footsteps of the Big Bopper. Ray Anthony performs as Ritchie Valens and is a renowned star of the “Legends of Rock and Roll” show at the Imperial Palace in Las Vegas. The very authentic and energetic four-piece band (guitar, drums, stand-up bass and sax) includes Grammy award-winning Mike Acosta on saxophone. The Winter Dance Party show has performed in front of more than 2 million people on national TV for the Jerry Lewis Telethon, and has toured extensively throughout the United States and Canada at theatres, performing arts centers, ballrooms, corporate events, casinos and even the Rock and Roll Hall of Fame along with John Mellencamp, Marshall Crenshaw and others. For Individual performer bios, visit www.winterdanceparty.com.